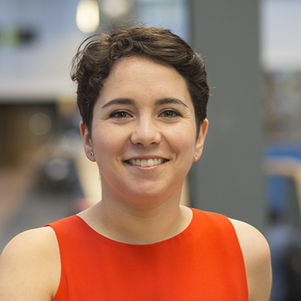 Milene Gonçalves is Assistant Professor of Creativity in Product and Service Design, in the Product Innovation Management department at the Delft University of Technology. She holds a Master degree in Product Design at FA-UL (Faculdade de Arquictectura, Universidade de Lisboa, Portugal). After finishing her master thesis, entitled “I drive, therefore I am: The designer's role in the creation and interpretation of identities in the automobile culture”, she moved to Delft and started her Ph.D. Milene’s doctoral research was on the influence of external stimuli on designers’ creativity, where the aim was to understand how do designers come across and are influenced by potential inspiration sources in ideation. Milene defended her Ph.D. thesis, entitled “Decoding Designers’ Inspiration Process’ in 2016, Delft. Watch the animation below, which summarises all the main findings of her doctoral research. Nowadays, Milene continues her research interests on inspiration and creativity, now in the collaborative context, in product and service design. She is also pursuing the topic of co-evolution of problem and solution, framing and innovation. "If you take the same road everyone else takes... you will get stuck in traffic."